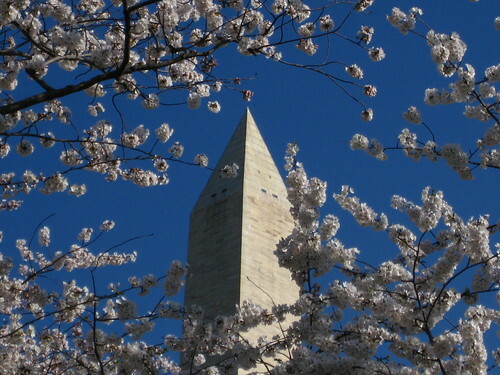 Peak bloom came early this year: March 18th, owing to the warm winter. 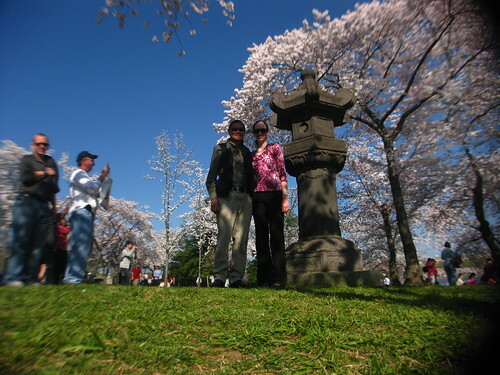 That was Sunday, so right after church we went down to mingle with the tourist crowd for the standard afternoon of DC hanami. 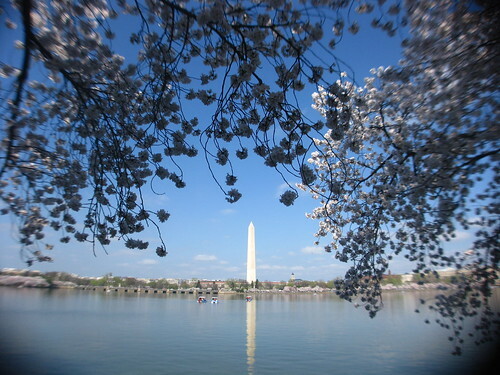 We don’t do a full circuit of the Tidal Basin anymore when we go to see the blossoms. Too crowded, too tiring, too far a walk. 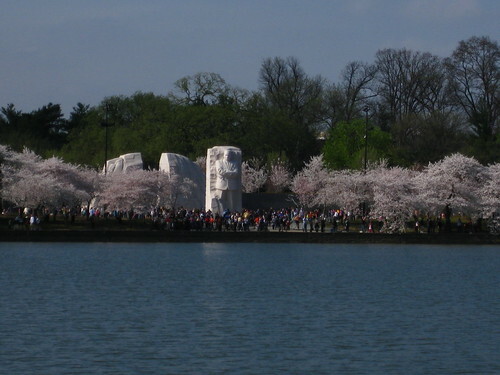 Instead, for the last couple of years we’ve approached West Potomac Park from the Lincoln Memorial, walked along the Potomac River for a bit, then entered the FDR Memorial to trace it back along the Tidal Basin to the original cherry blossom grove from 1912, and ended with the relatively younger grove by the Washington Monument. 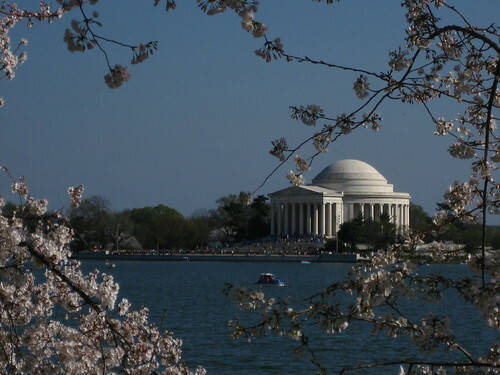 This route means skipping Jefferson Memorial and its attendant crowds, along with most of the tourist traffic around the Tidal Basin, in favor of concentrating on the older, gnarlier, and more full-volumed cherry trees of the original grove, plus the much more peaceful Washington Monument grove. 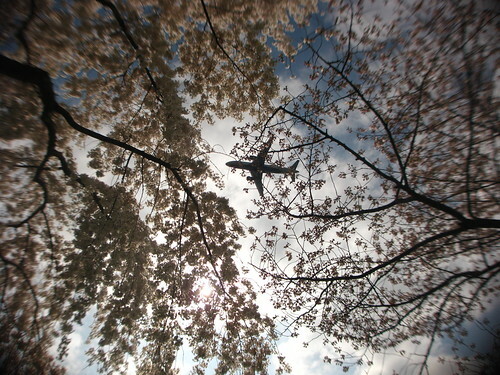 As we walked along the Potomac River side of West Potomac park, planes flew overhead on the river approach to DCA. 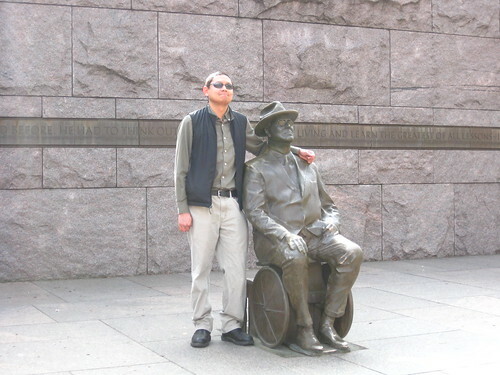 Of course we had to drop by Franklin Delano Roosevelt’s corner and say hi. I’m wearing my Scottevest Transformer. I started to feel a bit of photographic ennui as I snapped photos of familiar views. 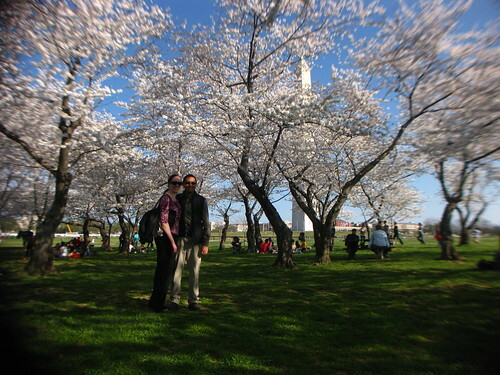 Every shot I took of blossoms backdropped by some DC landmark, I felt like it was a photo I’d taken at least two or three times before. Still, along the way I got this shot of the MLK Memorial from across the Basin, definitely a new view since the memorial is freshly opened. 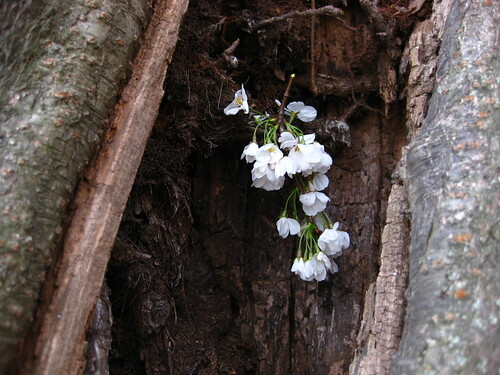 Cherry blossoms can sprout from just about any part of the tree — branches, roots, trunks — and even inside cracks in tree trunks. 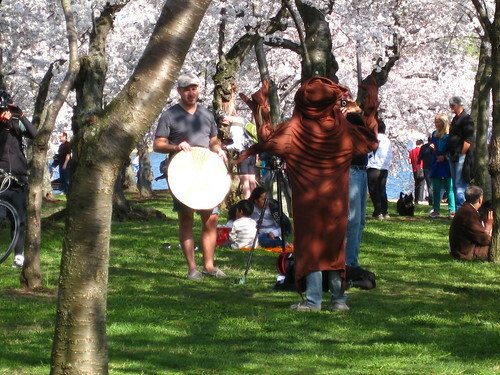 At the 1912 grove, someone was dressed up as a tree and getting photographed for … something. The old stone pagoda was of course a high-demand posing subject amongst touring groups, but we managed to get a few seconds alone with it. At the much-less crowded grove near the Washington Monument we tarried just for a bit to pose with the trees and monument before heading home. 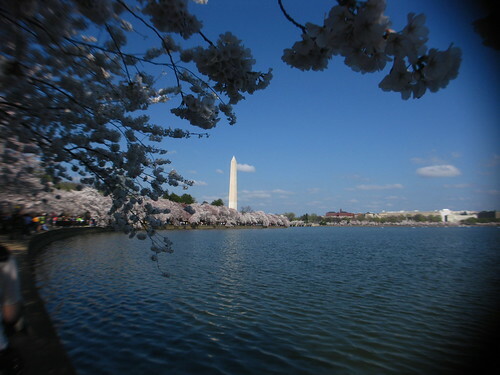 Quite a lovely day for some cherry blossom viewing. 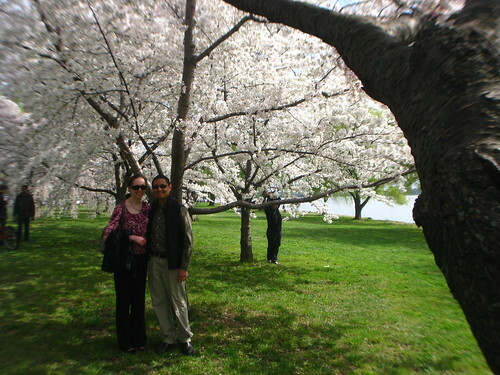 Full photoset here, and full collection of past cherry blossom photos here — an unbroken series of cherry blossom photosets dating back to 2004!